Selma, long-time widow, humble family background, makes money by being a fortune-teller three nights a week in the «Café Voyance». 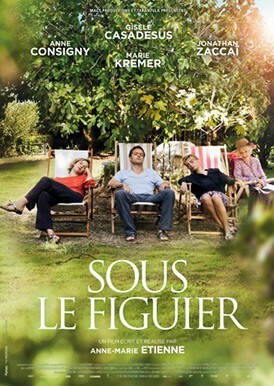 Someday, Selma learns that she’s very sick, her friend Nathalie decided to rent a house, next to La Meuse in Luxembourg, for the summer and to go there with Selma, and other friends. All together under the fig tree, they slowly understand that they are not helping Selma to die peacefully as they thought, but she is helping them to live.